Read some books about the Bible. 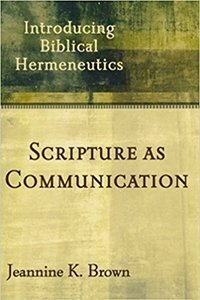 Hundreds of books on biblical theology and hermeneutics get published every year, and after a while it can become difficult to sort through them all. Below are some of our favorite books on the Bible: what kind of book it is, how to read it well, and how to faithfully live the story in our lives today. This book, written by our Senior Director of Content, contains the most comprehensive exploration of our point of view on the Bible and what it means to read it well. If you want to be introduced to new paradigms of Bible engagement, this is the best place to start. The Bible is more readily available to us than ever, and yet its role as a transformative force in the lives of Christians is rapidly diminishing. 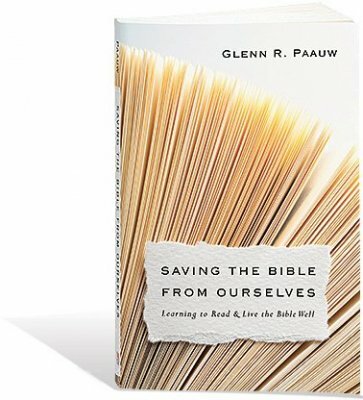 The problem is not with the Bible itself, Paauw argues, but with the proliferation of modern Bible “helps” — chapters, verses, subheads, etc. — that have effectively changed what we think the Bible is and how we use it. “What we have not done, truth be told, is trusted it to be itself.” This book explores the various ways modernity has altered the Bible from its true nature and offers seven recommendations for a return to deep, authentic Bible engagement. 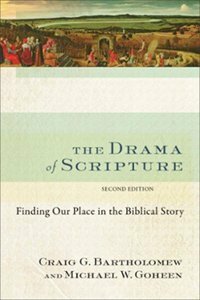 This book serves as an introduction to the overarching narrative of the Bible. Bartholomew (Redeemer University College) and Goheen (Calvin Theological Seminary) take the reader through the six “acts” of the Biblical drama from Genesis to Revelation: Creation, Fall, Redemption Initiated, Redemption Accomplished, The Mission of the Church, and Redemption Completed. By understanding the elaborate and compelling ways in which the books of the Bible fit together, we can see that the story of the Bible is the story of God working in the world. Furthermore, we can find our own places within this grand story, taking up our roles in our place and time. If the Bible is God’s divine instruction manual, then why can’t anyone agree on what it teaches? From baptism to atonement, from church government to creation and science, one can find a variety of views, opinions, and interpretations from people who believe in the Bible and its authority, and who humbly search for truth within it. Notre Dame sociologist Christian Smith calls this phenomenon pervasive interpretative pluralism, and argues that the “instruction manual” approach, called biblicism, is not only incorrect, but impossible. 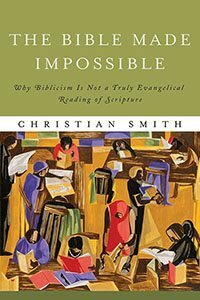 Smith offers a detailed critique of biblicism, opening the door for a new and better approach to Scripture. Many of our assumptions about the Bible and its composition stem from the paradigms of modern western culture. Wheaton College professors John H. Walton and D. Brent Sandy help us understand how God chose to communicate his Word through ancient cultures very different from our own. They examine the realities of the oral and scribal societies of the Ancient Near East, including (among other things) the notions of authorship, history, literature, and divine revelation. 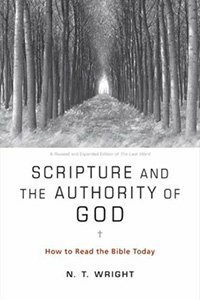 With a solid foundation of this knowledge, Walton and Sandy then explore the possible implications for the Bible’s inspiration and authority. 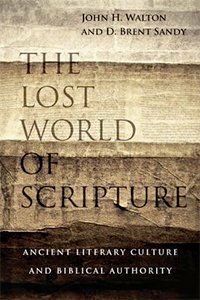 Walton’s entire “Lost World” series of books sheds light on particular parts of the First Testament by unveiling the meaning and import of these messages in their original setting. Is the Bible just a book of ancient Israelite and Christian history and practices to be read? Or are we engaging in a more interactive practice when we study God’s word? Brown (Bethel Seminary) believes that communication is at the heart of what we do when we open the Bible, actively engaging God in a conversation that can be life changing. By learning about how Scripture communicates, modern readers can extract much more meaning out of the text than they could if simply reading the Bible as though it was a list of rules or a collection of stories. This magisterial multi-volume series on the meaning of the New Testament in its original setting has changed the discussion within the church, particularly on Jesus and Paul. 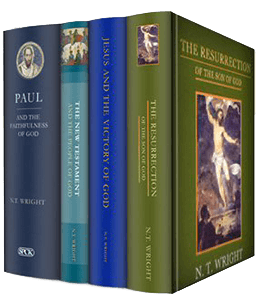 Wright’s goal is to bring the study of history and theology back together to enrich our understanding of the founding of Christianity. Recovering the context of the early faith gives us fresh eyes for seeing the message in all its depth and fullness. After Chapters and Verses traces the history of the modern Bible additives such as chapters, verses, section headings, and notes, and explores the implications this web of features has had on how we read and use the Bible today. 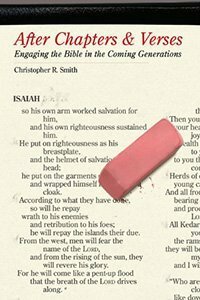 Smith then casts a vision for reclaiming Bible reading, studying, preaching, and teaching using an additive-free version of the Scriptures. The modern church’s lack of clarity about issues such as the Bible’s authority has hindered its witness and mission, causing it to speak with an uncertain voice to the challenges of our time. 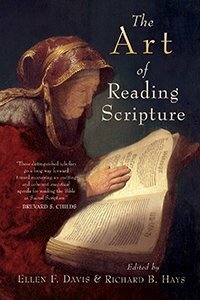 This book, written by a group of eminent scholars and teachers, seeks to help the church reclaim the art of reading the Bible attentively and imaginatively and recover the church’s rich heritage of Biblical interpretation in today’s postmodern environment. What does it mean for the Bible to have authority? What place does the Bible have within the church’s life and mission? 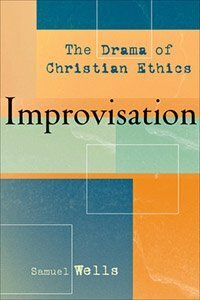 These questions have been hotly debated over the last generation, and the Bible has generally been treated, as Wright puts it, “the way professional tennis players treat the ball.” In this small but important book, Wright argues that contemporary culture approaches Scripture with improper expectations, and that our misreadings attempt to force the Bible into a paradigm it is not suited to fit. By adopting the fresh perspective offered in this book, we can move beyond the polarizing labels of “liberal” and “conservative” and restore the Bible to its proper place within Christian life. Many historians of religion now recognize that Christianity is a global faith whose most vibrant expression and growth are found today in the non-Western world. 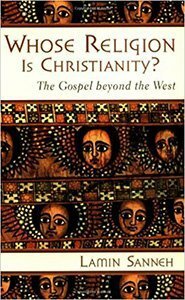 Sanneh (born in Gambia, now professor at Yale Divinity School) explores the cross-cultural expansions of Christianity and its character as a world religion. Includes a discussion of the crucial role of the Bible’s translation into multiple mother-tongue languages in confirming that the message doesn’t belong to any one group. The Bible is our shared inheritance and is truly for all peoples. Theology isn’t just a set of concepts and cognitive beliefs that exist in our head, argues Vanhoozer. It’s something that we do that involves speech and action. 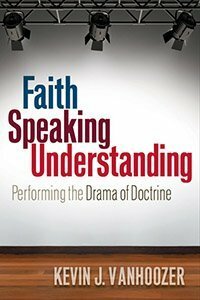 Our doctrines, informed by a narrative view of the Bible, direct our performance of the gospel on the “stage” of the world today and shape us into active disciples of Jesus Christ. Over the past 150 years, modern biblical scholarship has made discoveries that, on the surface, seem to challenge traditional Evangelical doctrines of Scripture. To many, the new evidence is irreconcilable with a “high view” of the Bible, so they either face a theological crisis or join the “Battle for the Bible” that has dominated much of the 20th and 21st centuries. 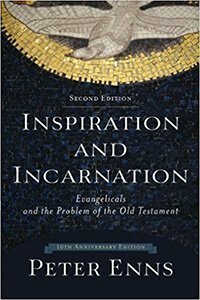 Old Testament expert Peter Enns seeks to provide better paradigms for understanding the Bible by comparing it to Jesus’ incarnational nature as both fully human and fully divine.